Manchester, England UK [7 July 2016] – UK Versity Online has announced its summer 2016 graduates. Nearly 117 students are expected to receive their awards in the summer Graduation ceremony being held on 7th July at the St. Thomas Centre, Ardwick. Established in 2014, UK Versity Online started operations as a private provider of higher education courses to international students. Coupled with rapid uptake of distance learning courses and expansion, UK Versity now offers over 150 qualifications to learners and professionals globally. UK Versity’s vision is to become a leading provider of distance learning courses offering premier qualifications which are highly demanded by private and public sector organisations globally. The qualifications are carefully chosen and have latest industry related content which are in demand by employers. The diverse selection of courses from various awarding organisations are accessible on mobile, tablet and desktop there by allowing you to gain quality education at your own pace and convenience. online where tutors provide ongoing support for the duration of your course. UK Versity Online brings together the best of academic and vocational qualifications to learners and professionals all over the world who are on the quest to learn and gain cutting edge education. Today acquiring knowledge is a continuous process and you have to keep learning and innovating with time. UK Versity Online offers qualifications online for everyone around the world. UK Versity Online is an accredited centre for various awarding organisations including Awards for Training in Higher Education (ATHE), Digital Marketing Institute (DMI), Learning Resource Network (LRN Global), NCFE and OTHM Qualifications. UK Versity specialises in delivering qualifications for the Business, Management, Computing, Health & Social Care, Hospitality, Leadership, Logistics & Supply Chain Management, Teaching and Digital Marketing Qualifications. UK Versity enrolled just over 150 learners in 2015-2016 session. In the past academic year, UK Versity had collaborated with London School of Marketing which is an associate College of Anglia Ruskin University and works in partnership with Northampton University to be able to offer degree programmes via distance learning. These programmes offered included Bachelors, Masters, MBA and as a result some 25 learners have successfully completed and achieved the degree qualifications. UK Versity has invested heavily in its learner management system (LMS) and is consistently praised by its learners for its tutorial support and guidance provided during the qualification delivery. Most of the graduates have already got placement with companies in the UK or back home. The results of the exit interviews and survey compiled show that 92 percent of the learners completed their qualifications and reported securing a job or have begun a master’s degree programme within the few weeks of completion of programmes. UK Versity Online is expanding its portfolio to offer vocational skills based qualifications which are in demand by employers across the globe. Recently, UK Versity Online has started to work with Digital Marketing Institute which is a global certification standard in digital education. 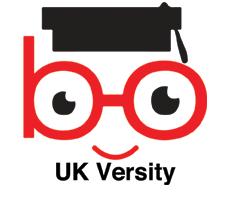 ‘The Digital Marketing Institute are very excited to work with UK Versity Online, Raman and his team have embraced online and blended learning providing an engaging student experience making UK Versity Online an ideal partner to deliver our courses. The Digital Marketing Institute, provide the most widely taught professional diploma in digital marketing globally along with 5 specialised diploma’s in all major streams of digital marketing. Our content is best in class and industry validated great quality partners like UK Versity Online help us deliver an excellent student experience. For photos and more information on the Graduation, click on the photo gallery.